Mumbai (IANS): As livewire as her songs, Neha Kakkar says she never thought she could make it as big as she has as a female singer in showbiz. 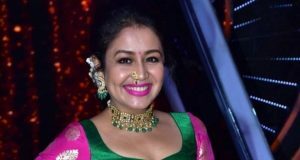 Neha, who has lent her power-packed voice to songs like “London thumakda”, “Tukur tukur”, “Kaala chashma”, “Chhote chhote peg” and “Morni banke”, has had an inspiring journey from being an “Indian Idol season 2” contestant to becoming a judge on the singing reality television show in its tenth season. “Wherever I go, people behave like a very big superstar has entered, and I am never able to believe that they all are talking about me. At one time in my life, I stood in queues for ‘Indian Idol’ auditions and I got eliminated at Top 8 or Top 9. I could have never imagined that one day I will be judging this show where I was a contestant myself,” she said.